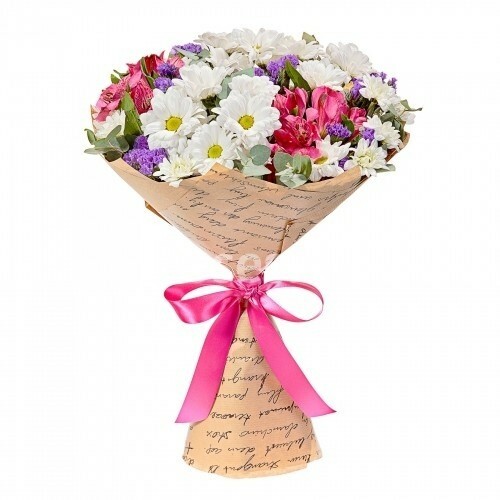 This bouquet will be the best gift to your significant one. A lush floral arrangement of white bush chrysanthemums, crimson alstromeries, ashy-gray eucalyptus and light-blue statice remind of cozy family evenings with bright sugared cranberries, hot tea and warm blanket. Technical ligament (bandebast) 2 pc. White Spray Chrysanthemum 3 pc. The transport film 2 pc. White Spray Chrysanthemum 4 pc. Technical ligament (bandebast) 3 pc. 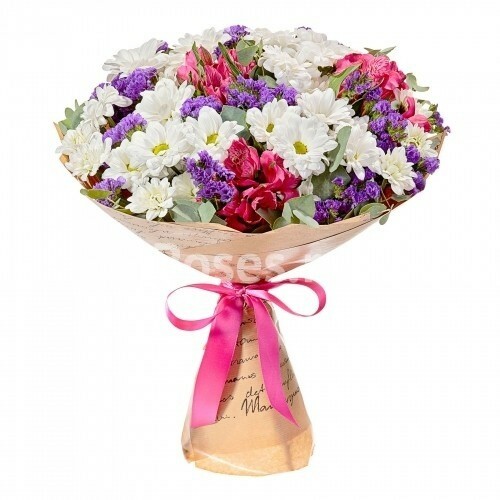 White Spray Chrysanthemum 7 pc.